Partimus co-founder Maile Urbancic now runs Boutique Academia, a small business that specializes in math, science, and technology themed accessories for women. 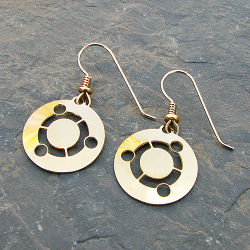 She was recently granted permission by Ubuntu logo trademark holder Canonical to make Ubuntu earrings and immediately set to work. 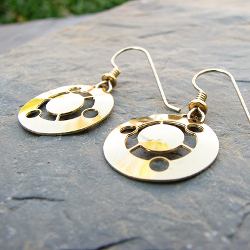 Best of all, Partimus is receiving $6 for each pair of earrings sold! So get a great pair of earrings and help support us in our mission to bring Ubuntu computers to students who need them! Partimus is a registered 501(c)3 non-profit in the United States, for more ways to donate please see our Donate page. This was written by Elizabeth Krumbach Joseph. Posted on Monday, June 13, 2011, at 5:28 pm. Filed under News. Tagged donations, fundraiser. Bookmark the permalink. Follow comments here with the RSS feed. Post a comment or leave a trackback. ‹ Partimus now has a blog!